Menopause can be very difficult on a number of levels. Although each woman&apos;s experience is different, many find that they gain fat, lose muscle tone, and struggle with hot flashes, insomnia, and mood swings during this time. 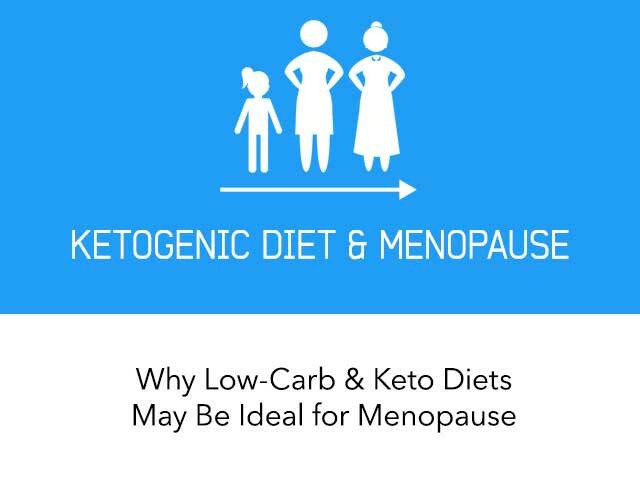 In this article, I&apos;ll discuss how a low-carb or keto diet combined with other lifestyle strategies may help you manage some of the physical, mental, and emotional symptoms of menopause. What is the Menopause Transition? Although a woman technically reaches menopause when she has gone 12 months without a menstrual period, symptoms related to perimenopause – the time where hormonal changes begin - can start much earlier. In addition, they may last for several years after this point, and new symptoms may develop within the first few years after menopause. The average age of onset for perimenopause is 46, and it typically lasts about 7 years. However, a woman may start perimenopause anytime between her mid-30s and mid-50s, and the transition can last from 4 to 14 years (1). The day after a woman has gone 12 months without a menstrual period, she is considered postmenopausal. Interestingly, while some women find that their symptoms are more severe during perimenopause, others report that their symptoms intensify after they are postmenopausal. During a woman&apos;s reproductive years, follicle stimulating hormone (FSH) causes the release of an egg from one of her ovaries approximately every 28 days and stimulates ovarian production of estrogen. After ovulation, the follicle that housed the egg produces progesterone. However, as a woman enters perimenopause, her ovaries contain fewer eggs and begin to produce less estrogen and progesterone. In response, the brain&apos;s pituitary gland steps up its production of FSH in an attempt to increase estrogen output. During this period of time, estrogen levels may fluctuate widely, but during the final couple of years before menopause, they steadily decline. Normally, estrogen directs fat to be deposited in the hip and thigh area following puberty. This is why many, although not all, women tend to gain weight in this area during their reproductive years. However, as estrogen levels decrease during menopause, fat storage shifts to the abdomen. Unlike the subcutaneous fat stored in your hips and thighs, excess visceral fat doesn&apos;t just affect your appearance and the way your clothes fit. It&apos;s also strongly linked to insulin resistance, heart disease and other health problems (2). In addition to the change in fat distribution, most women notice that their weight goes up several pounds during and after perimenopause. This seems to be due to a combination of factors. First, lower levels of estrogen promote insulin resistance and higher levels of insulin in the blood, or hyperinsulinemia, that promotes weight gain (3, 4). Secondly, research suggests that levels of the “hunger hormone” ghrelin increase in the early stages of perimenopause (5). Moreover, low estrogen levels during and after menopause may impair production of leptin and neuropeptide Y, hormones that help regulate appetite and weight balance (6, 7). The resulting increase in appetite and lack of satiety can lead to overeating and weight gain. However, some women put on weight even if they don&apos;t eat more than usual during menopause, due to the hormone changes previously discussed. Finally, loss of muscle mass that occurs during menopause and the aging process can slow down metabolism, making it much easier to put on weight (8). 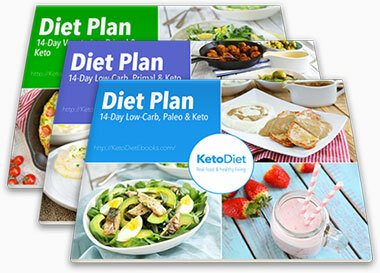 There is a growing body of research showing that low-carb and keto diets are very effective for weight loss. 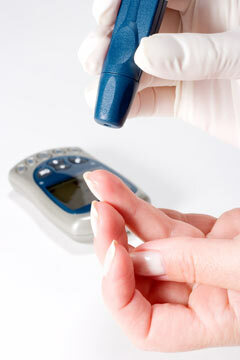 A major benefit of being in ketosis is suppression of appetite, which may be due in part to lower ghrelin levels (9). Indeed, a 2014 systematic review of 12 studies concluded that ketogenic diets do reduce hunger and appetite. Moreover, the authors defined a ketogenic diet as one that produced fasting β-hydroxybutyrate levels greater than or equal to 0.3 mM (10). This is actually a very mild level of ketosis that most people can achieve by limiting net carb intake to 50 grams or less per day. Anecdotally, many women have reported losing weight during and after menopause by following a low-carb or keto lifestyle. However, although middle-aged and older women have been included in some studies on carb restriction, there is surprisingly little research looking at the effects of this way of eating in menopausal women alone. In a two-year randomized controlled trial (RCT) of 70 obese postmenopausal women, a low-carb, paleo diet led to greater reduction in abdominal fat and triglycerides than women following a low-fat diet (11). In another RCT, 50 overweight or obese middle-aged women followed either a calorie-restricted diet or a non-calorie-restricted diet initially providing 20 grams of carb per day that was gradually increased by 10 grams a week over 12 weeks. Although the two groups lost similar amounts of weight, the low-carb group had a larger drop in triglycerides and greater improvement in cholesterol ratios than the calorie-restricted group (12). It&apos;s worth pointing out that although the low-carb group started out eating a keto diet, they were no longer anywhere near ketosis at 140 grams of carb by the end of the study. 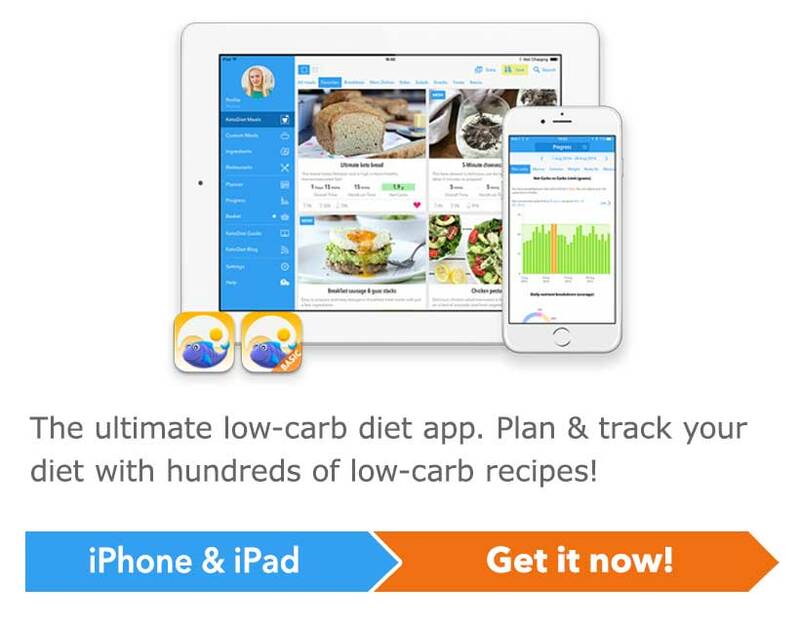 This shows that following a very low carb approach resulting in high ketone levels is not imperative for weight loss. Clearly, more high-quality studies on low-carb and keto diets need to be conducted in menopausal women. However, it stands to reason that eating in a way that lowers insulin levels and helps control hunger would be very beneficial for them. Unfortunately, there is also a lack of formal research exploring the effects of keto or low-carb diets on hot flashes. However, many women who start a keto diet report having fewer and less severe hot flashes. In several cases, the improvement seems to be rapid and significant. According to retired neurosurgeon Dr. Larry McCleary, there&apos;s a biochemical reason for this effect. In his book The Brain Trust Program, Dr. McCleary explains that the decline in estrogen during the menopausal transition reduces the action of glucose transporters responsible for delivering glucose to the brain. He states that this process is similar to what occurs in children with epilepsy and other seizure disorders, although menopausal women experience it to a much lesser extent. 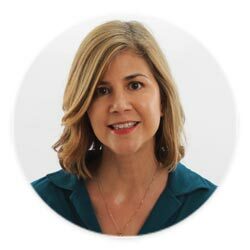 Dr. McCleary says that women who suffer from hot flashes can reduce their frequency and severity by following a very-low-carb diet that provides the brain with ketones it can use as fuel. His dietary approach includes nutrient-dense foods like meat, fish, poultry, eggs, cheese, nuts, seeds, non-starchy vegetables, olive oil, and small amounts of berries. 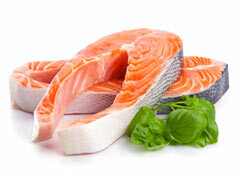 In addition, he recommends fats like coconut oil or MCT oil to naturally boost ketone levels. To date, there are no studies supporting carb restriction for mood swings,“brain fog,” irritability and other mental or emotional changes common during the menopause transition. However, some menopausal women have reported that their mood, memory, and ability to concentrate improved once they switched to a keto way of eating. In addition, some research suggests that nutritional ketosis may improve memory in older people with mild cognitive deficits (13). Although high quality research on ketogenic diets for hot flashes and other menopausal symptoms is needed, the reports from women who have achieved beneficial effects are very encouraging. How Many Carbs Per Day Should Women in Menopause Eat? Again, based on the lack of research in this area, it is hard to make specific recommendations for the amount of carbs women in menopause should consume. However, generally speaking, restricting intake to less than 50 grams of net carbs per day will help suppress appetite, reduce insulin levels and increase insulin sensitivity, which can make weight loss or maintenance easier. However, if your goal is to be in nutritional ketosis in order to relieve hot flashes, improve mood, or boost memory and concentration, you may need to stick to about 20-30 grams of net carb per day. Flaxseed may help relieve certain menopausal symptoms, especially hot flashes. However, the effects seem to vary from woman to woman, based on anecdotal reports and high-quality studies (14, 15). 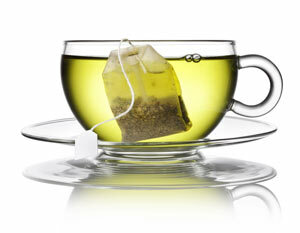 Green tea is rich in catechins, which are potent antioxidants. It&apos;s also the best source of a specific catechin known as epigallocatechin gallate (EGCG), which has been credited with beneficial health effects on cardiovascular and metabolic health. Studies in menopausal women have found that caffeinated green tea helps lower insulin in those with elevated levels, whereas decaffeinated green tea doesn&apos;t seem provide the same benefit (16, 17). 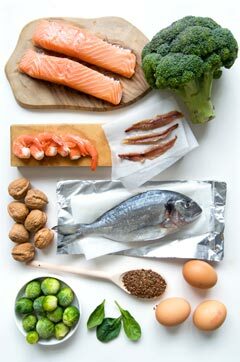 In an RCT of 87 postmenopausal women with metabolic syndrome, the women whose diets were supplemented with omega-3 fats had significant reductions in insulin resistance, blood pressure and inflammatory markers compared to those who followed the same diet without omega-3 supplementation (18). 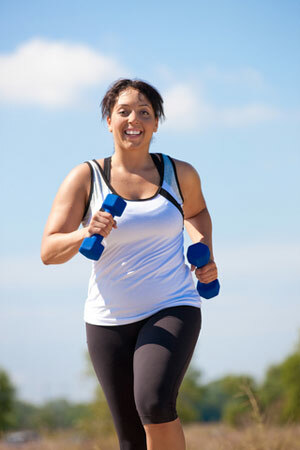 Staying active is crucial during and after menopause. Studies in postmenopausal women have shown that regular exercise can help relieve stress, boost metabolism and fat burning, and prevent loss of muscle mass (19, 20, 21). In addition, physical activity may potentially relieve hot flashes in some women. One study found that women who engaged in a six-month exercise program during menopause had lower hot flash scores than women who didn&apos;t exercise when researchers followed up on all the women four years later (20). Although all forms of exercise are beneficial, strength training is by far the most effective for managing symptoms of menopause, slowing down the aging process, and improving body composition. In a study of 32 postmenopausal women, performing high-volume resistance training three times a week for 16 weeks led to greater muscular strength, loss of belly fat and a decrease in inflammatory markers than less rigorous exercise (21). Lifting weights for several repetitions three times a week seems to provide optimal results. However, if physical issues limit your ability to lift weights, you can still benefit from other types of exercise, including walking. The key is making regular exercise a part of your life and doing the best that you can. Yoga is well known for relieving stress. A few studies have found that yoga, tai chi and similar mind-body therapies may also improve certain menopausal symptoms, such as sleeping issues and hot flashes, in some women (22, 23, 24). 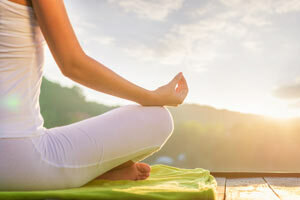 Moreover, yoga seems to increase overall well-being and satisfaction with life during the menopause transition. In a controlled study of 260 menopausal women lasting 18 weeks, significant improvements in physical, psychological, and social quality of life scores occurred in the women who were assigned to the yoga group (24). 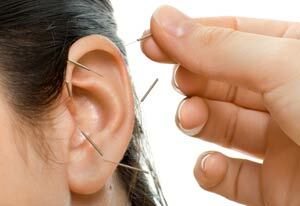 Acupuncture is a form of Traditional Chinese Medicine that appears to be effective for hot flashes and improving sleep. In one study of 209 women aged 45-60 who were having several hot flashes on a daily basis, 6 months of acupuncture treatments helped reduce the frequency of their hot flashes by more than 36%, whereas women in the control group who didn&apos;t receive acupuncture had a 6% increase in hot flash frequency (25). Additionally, a 2016 detailed analysis of 31 studies concluded that acupuncture may significantly improve sleep quality in perimenopausal and postmenopausal women with sleeping issues (26). 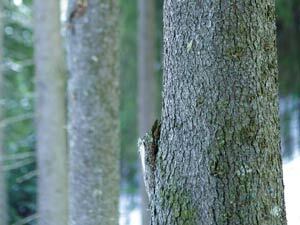 Pycnogenol is also known as French maritime pine bark extract. It contains several antioxidants, including procyanidins, which are also found in cocoa, nuts, berries, and grapes. Research suggests that pycnogenol may modestly reduce hot flashes, insomnia, mood swings and other menopausal symptoms (27, 28). Is Pycnogenol Suitable for Everyone? Pycnogenol seems to be safe for most women. However, because it may potentially stimulate the immune system, people with autoimmune disease are best off avoiding it. In addition, if you have a bleeding disorder or take blood thinners, you should speak with your doctor before taking pycnogenol. Recommended dosage is 50 mg 1-2 times per day. You can get Pycnogenol on Amazon and many other health stores. A few of the more common herbs used to relieve menopausal symptoms include black cohosh, dong quai, and red clover. However, study results on these herbs have been mixed, and more research is needed to confirm that they are safe for long-term use. 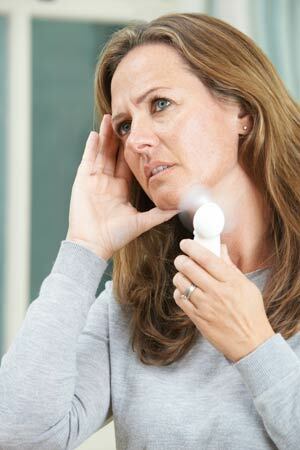 Menopause can be extremely challenging for many women. Fortunately, there are many things that can help you through the menopause transition, starting with following a nutrient-dense ketogenic or low-carb diet. A very-low-carb lifestyle can help lower insulin levels, improve insulin sensitivity, keep your appetite under control and potentially even reduce hot flashes and other symptoms. In addition, there are several health benefits of ketogenic or low-carb diets. Following this way of eating may reduce other heart disease risk factors, which is especially important once you lose the cardioprotective effects of estrogen. It&apos;s important to understand that losing weight during menopause can be extremely tough even if you do everything right. Whether a low-carb or keto diet actually leads to weight loss will depend on a number of other factors, some of which you can control and others you can&apos;t, such as genetics. Engaging in regular exercise, managing stress, and practicing other healthy behaviors that enhance your keto or low-carb lifestyle can improve your chances for maintaining a healthy weight and great quality of life during and after menopause. I am 53 and in menopause and have terrible hot flashes. I have tried several different kinds of supplements and for a bit will help reduce my hot flashes but then after a month or so, they are back. I have also tried several different weight loss plans and no weight loss. I started the keto diet on July 1st and have lost 7lbs and several inches but my hot flashes have not decreased yet. I think if i quit berries maybe they will decrease. I'm willing to try it cause i do not eat any sugar unless it is in the berries which i try not to eat nightly. I do feel so much better, have more energy, during this keto way of eating. I do 20 or less net carbs per day. I stay up and moving but not exercising as i would like to. Thank you for this article. I'm 52 and have been following a Keto 5:2 plan since May 14th and I have went down 3 pants sizes. I have lost my cravings for sugar and white processed foods. I love all the available Keto recipes. Finally an eating plan that works for me. This is great information, thank you so much for the article! I haven't yet noticed a reduction in hot flashes but I do get greater mental clarity from coconut oil. I've only been doing keto for a week so hopefully I will continue to see improvements! I am 53 and started the keto diet 3 weeks ago . I am in menopause and have gained weight as mentioned ,this diet is working for me. I have also been petite and being 5”3 gaining 5 to 10 pounds really shows on my small frame. This is working!!! I am however not a big workout gal, pilates is great and I use resistance bands to help tone. I am sorry to report my hot flashes have not improved !!! I started the Keto diet on Monday and yes I cheated on day 2 but I was wondering if the Keto diet is safe for someone that has very high Liver Enzymes and no hormones. I feel like I am doing something wrong because I have been going strong and today is day 3 for me and I feel no different and I cant tell where I have lost any weight. How long do you have to be on the Keto diet before you start seeing the effects of it? I am also on different medications doctor prescribed and I'm not sure if any of that would also be an issue for me and my diet? already experienced improvement in menopausal symptoms as well as weight loss. Great to see this - as there's not a ton of info in the keto-world specific to the female body cycles and the climacteric. Thank you so much! Female biology has some specific reproductive-related tendencies, and we do well to know them. Such as adipose fat levels... as well as going into starvation-alert/fat storage mode when in zero-carb states for longer periods. For this reason, many of us may find more stability with intermittent fasting with at least a few carbs in our keto-coffee or bulletproof coffee (I use a few tablespoons of half n half myself, along with the oils) - and that it enhances actual fat burning. Another interesting thing - anecdotally at least, as no formal studies exist on the topic (and female biology & physiology specifics have often been marginalized by male-centered studies) - is how initiation of ketosis adaptation in otherwise healthy, unmedicated midlife women undergoing natural menopausal cycle changes actually restores regular (and highly functional and easy) periods for several months or seasons until the body composition has stabilized. It's because when we burn body fat, estrogen stored in fat is being released into the body - during a time of decreasing estrogen! It's fascinating, and profound - how female wellness during The Change can be enhanced with LCHF/ketogenic food ways. One thing that I don't agree with is the reiteration of the climacteric journey in terms of the common conventional medical refrain of "extremely challenging for many women" which doesn't quite hold up in terms of real statistics on real women's lives - particularly women who are well nourished and emotionally supported. There is a significant statistical percentage of women who find natural menopause (meaning not induced as the result of longtime hormonal birth control or hysterectomy etc) quite manageable, as well as those who experience minimal symptoms. More on this in professor Germaine Greer's book The Change: Women, Aging, and the Menopause - and in Christiane Northup MD's book The Wisdom of Menopause. Both of those books address a new vision of female midlife that have helped me welcome and celebrate my ketogenic return of regular, pretty easy flowing cycles for 5 months now at the age of 51, after a year of only quarterly cycles. It really just feels like a gift - the ability to burn fat and also experience optimal menstrual health as a surprise at benefit as the final menopause approaches someday. Some women can naturally cycle till up to age 56, or older. I wouldn't be surprised if the women who experience that are in fact LCHF/keto. As to whether these cycles actually represent increased fertility is another unanswered question - though it is assumed by most that these are anovulatory (no egg) cycles, there have been recorded cases of midcentury+ women naturally conceiving - it's rare, but known by OB/GYN scholars and has been reported in newspapers on occasion. And then there are stories like that of Sarah in the Torah/Old Testament! So.... ketogenic way of life during the climacteric years may not only turn around pre-diabetes and pre-cancers - it may increase fertility in midlife women, as it increases general energy and brain functioning too! I started to have a lot of trouble sleeping in peri-menopause, which in turn caused me to crave carbs as I had never before. I gained between 5-7 pounds a year over about 8 years, and struggled with yo-yo diets until I got onto low carb then keto. My fingernails began to peel so badly I barely had nails, until I discovered I needed to keep up my daily iron supplements, (along with a good daily multi-vitamin), which I had read were not needed after menopause. The menopausal issues are not huge for some women, but for others they are serious. Thank you for this wonderfully thought out and thorough article! I'm 27 and have been post menopausal for over a year. I have a friend who is also became post menopausal at a younger age. The both of us have a keto lifestyle. We also do strength training and yoga! And so we can tell you that this article basically nails it. If you are struggling with menopause, no matter what age you are, please give the keto diet a go! If you are like me, I completely lost my appetite and struggled with eating (I still do, and it may not even be MP related, but a remnant from chemo) but if I keep my carbs around 15-20g, I can manage to get my calorie intake to around 1300-1800. So definitely, if you are hungry all the time- keto diet may help. If you don't have an appetite- keto diet may also help that! I imagine that by eating this way, your body is more able to regulate and take care of itself. ANYWAY. Thanks again for this article!! It gives us something to point to. I know other women who struggle with their new menopausal bodies, losing their youth in their 20's and 30's, and I wish I could explain to them how I do it.